ALMSCO International's bench-top time of flight (TOF) mass spectrometer, BenchTOF-dx is specially designed to generate truly classical electron impact ionization (EI) spectra for gas chromatography (GC) and comprehensive GC/GC applications. It enables users to screen samples at trace levels, offering optimal sensitivity without comprising speed of analyses and selectivity. ALMSCO also highlights its recently launched TargetView software designed to automate and improve detection and measurement of multiple target chemicals in complex GC/MS data sets. When combined with Markes International’s market-leading systems for thermal desorption (TD), it provides a total solution for analysing ultra-trace level components in complex samples. Laboratories screening samples at trace levels require a method that offers a blend of sensitivity to enable analysts to monitor the entire sample and enough selectivity to enhance confidence in the results. The BenchTOF-dx features high definition mass spectrometry (MS) technology and combines speed and resolution with uncompromised spectral quality even at trace concentrations. While high resolution accurate mass (HRAM) mass spectrometry is ideal for demanding applications such as proteomics, high definition MS is an alternative and cost-effective compound screening technique that is suited to applications such as forensics, food safety testing and environmental analyses. The novel method enables analysts to screen for both known and unknown compounds at much lower levels with a high degree of definition and clarity. Trace compounds can be clearly identified, quantified and differentiated from one another, while also retaining the required attributes of speed and selectivity. 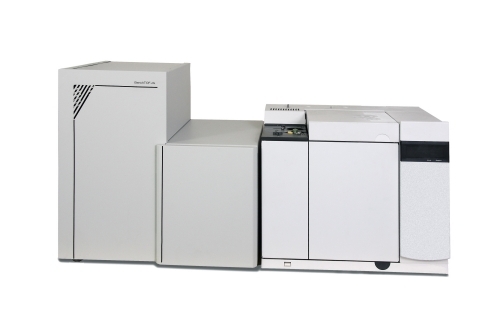 In addition, the BenchTOF-dx has been designed to easily integrate into popular mass spectrometry data analysis platforms and interface with most GC systems. This additional advantage removes the steep learning curve often associated with the implementation of a new mass spectrometry system, enabling immediate productivity improvements. ALMSCO International is also showcasing its TargetView software at ASMS 2011. TargetView provides a simpler and more accurate way of identifying which target compounds are present in a sample. It also provides reliable peak area information to complement and support quantification by conventional GC/MS data handling packages. TargetView can be used to identify the total number of compounds present in a sample (knowns and unknowns) by library searching. Two posters will also be presented on ALMSCO’s booth during ASMS. The first poster, entitled ‘Environmental and food safety screening of persistent organic pollutants (POPs) by GC (XGC)-TOF MS without dependence on extensive sample clean-up’ reveals that high definition MS technology is ideally suited for food safety applications. While the other poster, ‘Development of a sensitive and reliable method for the measurement for Volatile Organic Compounds migration from food packaging comparing GC-TOF MS vs. GC-Quadrupole MS’, indicates the advantages of high definition technology for efficient compound screening.